I had a few attempts to potty training the last one was during the month of September 2017. To say that it was a disaster is an understatement. At that time I was so frustrated that I wasn’t sure if my daughter was ready or not. Feeling completely lost I decided that I needed a roadmap to this potty training business and while reading an article online I came across this book. I decided to go ahead an buy. At that point I didn’t had anything to lose, and a lot to gain. When I started reading this book there were many thing that I didn’t thought about when I tried previous times. I recommend this book to any mom/parent that is as lost as I was. I read the book in couple of days, it is a super easy reading and writen in plain, common sense language. I waited couple of weeks and went back at it. This last time I knew exactly what to look for, and it was a better experience. I still got frustrated on the second day but I kept at it. Today is the 12th day since I started potty training and I can proudly say that she is fully potty trained. It takes time but if you know your child is capable of doing it buy this book and go for it. Enjoy the process, you will feel so proud of your child. 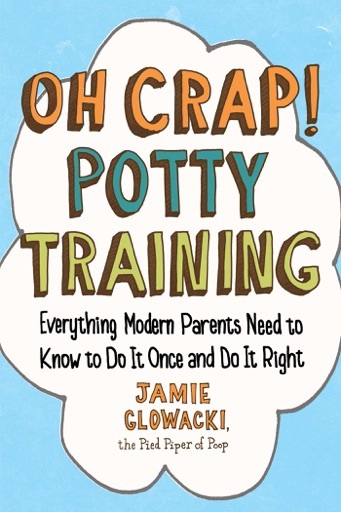 Enjoy the potty training journey. This books was a great easy read and gave me the extra boost in confidence (in myself and my son) to go for it. Very relatable and good ways of thinking for parents.